The Educational Theatre Foundation’s annual benefit supports theatre education programs for schools in need by bringing together professional theatre artists and current high school Thespians. The event features performances and interviews, dreams and reminiscences, to give back and raise funds for underserved schools. 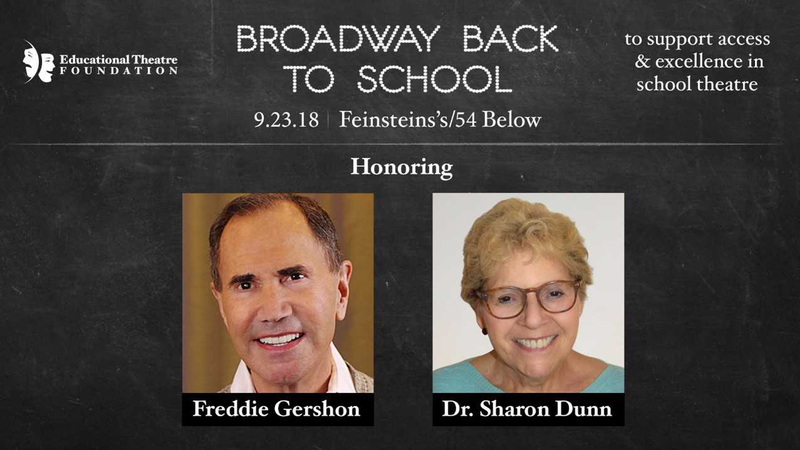 This year’s event honors Freddie Gershon and Dr. Sharon Dunn, the inaugural recipients of the Broadway Back to School Award, for their work in initiating the Broadway Junior program. The Award recognizes the impact of key leaders in the theatrical industry and education in building access and excellence in school theatre.